Chances are many of us have had long relationships with Stanley Kubrick’s 2001: A SPACE ODYSSEY (149 mins., G) over the years on home video. From bulky, cropped VHS tapes – one of which I recall renting from our local Major Video to show in my 6th grade class – to the first widescreen presentations in Criterion’s laserdiscs, “2001” is a film that’s received endless video releases over the decades. While Warner Home Video’s 2007 Blu-Ray was certainly an upgrade on what we had available to us previously, the studio has one-upped that presentation in both Blu-Ray and now 4K UHD thanks to a stellar new remastering that presents a technical evolution for viewers in savoring the director’s 1968 masterwork. What the 4K UHD does is bring viewers closer to the original 65mm negative than any prior video rendering. Kubrick assistant Leon Vitali and Vince Roth, who prepped the restoration of the original negative nearly 20 years ago, spearheaded this new master, produced from a fresh scan of the 65mm negative in 8K resolution. The result is striking in terms of superior detail and certainly more accurate color than could be achieved in the prior Blu-Ray (which was derived from a 35mm optical reduction interpositive), not to mention framing more precisely matching the intended 2.2:1 aspect ratio. Unsurprisingly, producing a new remaster of “2001” is a huge benefit for a movie that’s all about technology and the art of the cinema itself. What may have seemed dull and tedious in cropped VHS transfers to a young viewer – as I was when I first saw “2001” – truly does take on a new meaning as Kubrick and cinematographer Geoffrey Unsworth’s elegantly lensed images possess more immediacy when viewed in Warner’s 4K UHD with HDR and Dolby Vision. At times the image is so clear you can read the instructions that Dr. Floyd examines when he’s about to use a Zero Gravity Toilet – while the groundbreaking visual effects are even easier to marvel at than ever before, as in the Discovery traversing pitch-black space on its rendezvous with something out of this galaxy. It’s a spectacular transfer, perhaps not quite flawless (it does get extremely bright at times) but generally every bit as satisfying as one hoped for when the film was announced for UHD earlier this year. Warner has also remastered the film’s multi-channel soundtrack in two different configurations. The original 1968 70mm audio has been reproduced here in a 5.1 DTS MA mix that’s perfectly fine but generally pales in comparison to a “restored and remixed” 5.1 DTS MA soundtrack that boasts both a wider dynamic range and even clearer (not to mention occasionally directional) dialogue. Treble response is also vastly superior in this mix, while the music is occasionally distorted in the 1968 track. In terms of special features, Warner disappointingly reprises the same contents that accompanied the 2007 release, from the James Cameron-hosted British doc “2001: The Making of a Myth” to an assortment of other featurettes and a 1968 interview of Kubrick conducted by Jeremy Bernstein. The trailer, a Digital HD copy, and the Keir Dullea-Gary Lockwood commentary have also been ported over, along with a new Blu-Ray remaster. 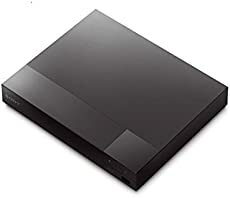 For those without the benefit of 4K, this Blu-Ray offers a much-needed enhancement on the prior BD disc and offers a 1080p version of the new video master as well as the same, robust audio options as its UHD counterpart. It’s a not-unsubstantial upgrade in its own right, and should tide viewers still utilizing “regular HD” over until their own odyssey into home video’s next generation. Another classic film, Steven Spielberg’s SCHINDLER’S LIST (196 mins., 1993, R), has also received a stunning 4K UHD presentation this week from Universal. While I have always felt the film was just a bitoverpraised – marked by many brilliant sequences, bogged down by too much of Ralph Feinnes’ psychotic Nazi commandant and too little development of the Holocaust victims – there’s no question about the film’s significance as a testament to the Holocaust and Spielberg’s powerful direction. Individual moments, both horrifying and life-affirming, stand out, and John Williams’ moving scoring is especially praiseworthy in sequences where Oscar Schindler (Liam Neeson) compiles his life-saving list along with his Jewish accountant (Ben Kingsley). There are no quibbles to be had with Universal’s spectacular 4K UHD (Dolby Vision, HDR) presentation. Detail and clarity trumps the earlier Blu-Ray release while a surprisingly forceful Dolby Atmos soundtrack includes perfectly rendered dialogue and effects. This is Universal’s finest catalog UHD to date, while the previous Blu-Ray is reprised here, including a number of extras and a new featurette, “Schindler’s List: 25 Years Later” — a Q&A recorded at the Tribeca Film Festival with Spielberg, Neeson, Kingsley and actresses Embeth Davidtz and Caroline Goodall. …At least until “The Predator” crashes back to Earth, which it does in a most unfortunate manner. The victim of heavy post-production cuts and reshoots, the movie quickly turns into a tedious, poorly edited chase picture with its characters incomprehensibly running around Vancouver forests and Black struggling to make sense of it all. 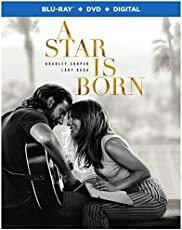 It’s too bad, too, since Black and pal Fred Dekker’s script pays homage to its predecessors (with ample doses of Alan Silvestri’s score reused by Henry Jackman) and has energy to spare – it just, ultimately, doesn’t make any sense or finds a satisfying resolution, making for a misfire on a number of levels. Fox only includes six minutes of deleted scenes in their 4K UHD combo pack, along with fluffy featurettes and trailers which include even more discarded material that didn’t end up in the finished cut. The marvelous HDR enhanced transfer (2.39) is marked by vivid colors and an active Dolby Atmos audio track, with the Blu-Ray and a digital copy rounding out the release. New in 4K from Mill Creek: A pair of IMAX enhanced 4K UHDs – which tout “Immersive Image, Sound and Scale” – are brand new to the format this week from Mill Creek. The IMAX/MacGillivray Freeman produced JOURNEY TO THE SOUTH PACIFIC (40 mins.) is a luscious travelogue that transports viewers to West Papua and its incredibly diverse marine ecosystem. Some 2,000 species of sea life thrive there, from whale sharks to manta rays and sea turtles. Gorgeous photography with full HDR and DTS X audio grace Mill Creek’s 4K UHD, which also comes with a Blu-Ray and Digital copy as well…Jennifer Lawrence, meanwhile, narrates A BEAUTIFUL PLANET (47 mins., 2018), another IMAX produced documentary providing viewers with sensational footage captured by astronauts onboard the International Space Station. Director Toni Myers is no stranger to this genre, having directed the superb “Blue Planet,” “Hubble 3D” and “Space Station 3D” documentaries, and produces another gorgeous trip outside Earth’s atmosphere. The stunning 4K UHD transfer again sports HDR, DTS X audio and IMAX “Enhanced” presentation, along with a Blu-Ray and Digital copy. NIGHT SCHOOL 4K UHD Combo Pack (111 mins., 2018, PG-13; Universal): We’ve seen plenty a film about adults who head back to school to complete their degree, from the likes of Rodney Dangerfield in “Back to School” to this mediocre Kevin Hart vehicle. As a typical Kevin Hart-esque character heading back to get his GED, Hart generates some laughs opposite Tiffany Haddish as the stern teacher who has little tolerance for his brand of comedy – you may find yourself feeling the same after nearly two hours of Malcolm D. Lee’s effort, which may have functioned better minus a third of its running time. Universal’s 4K UHD is out New Years Day sporting both the theatrical cut and an even longer version (pass! ), plus deleted scenes, a gag reel, featurettes, DTS X audio, HDR, along with a Blu-Ray and Digital copy. With John Ford’s “The Iron Horse” delayed, Twilight Time’s November had a shortened trio of titles – a Nicholas Ray western, a Stanley Kramer period drama, and a passion project for Charlton Heston that was a complete commercial failure. Heston poured his blood, sweat, tears and quite a bit of his own money into an adaptation of ANTONY AND CLEOPATRA (148 mins., 1972, Not Rated) – William Shakespeare’s play about the doomed relationship between Marc Antony (Heston) and Cleopatra (Hildegard Neil). The film is ripe with romance, battle sequences and some fiery supporting performances from the likes of Eric Porter, Fernando Rey, Julian Glover, and Freddie Jones as Pompey…all filmed on a relatively shoestring budget considering the epic aspirations Heston was shooting for. Ultimately, this labor of love for Heston was certainly hampered by its budget but Neil wasn’t exactly a big-screen draw either – reports have it that she was far down on the casting sheet, beyond Anne Bancroft (who couldn’t participate due to a scheduling conflict), Irene Papas and Barbara Jefforrd among others. The South African actress tries hard but there’s a lack of chemistry between her and Heston, leading the integrity of the other performances to help bolster the modest production, which is best recommended for Shakespeare buffs and Heston die-hards. Still worthwhile viewing due to its scope cinematography and John Scott’s fine score, “Antony and Cleopatra” was last seen in a 2011 DVD release from Warner Home Video. This 1080p (2.35) AVC encoded transfer looks to have been derived from the same source elements which are decidedly not quite pristine and appear to be impacted by some noise reduction on top of it. The mono sound fares better with extras including an isolated score track and commentary from historians Lee Pfeiffer and Paul Scrabo, while the trailer and an interview with Heston’s son, Fraser, have been carried over from the DVD release. Among director Stanley Kramer’s late career efforts, OKLAHOMA CRUDE (112 mins., 1973, PG) is easily one of the most watchable of the lot. This tale of a strong-willed Oklahoma woman (Faye Dunaway) who’s determined to fight off the advances of a big corporation that wants her highly-coveted oil field is lusciously shot in widescreen by Robert Surtees and offers a series of fine performances: Dunaway is convincing in a non-glam role with John Mills as her father, Jack Palance as the goon representing Big Oil, and top-billed George C. Scott as a cantankerous drifter comes to her aid. The pre-WWI era setting is matched by Henry Mancini’s flavorful score as well, even though the main performance of his Hal David co-written theme song – “Send a Little Love My Way” – never made it onto the soundtrack album since singer Anne Murray was signed to a different record label (those were the days…). There are times when you can feel Kramer straining to give “Oklahoma Crude” something of a ‘70s “edge” – as evidenced by its freeze-frame ending – instead of a more romantic leaning that would’ve undoubtedly been associated with this material a decade before. Nevertheless, this Columbia production is still sturdy and well-told, nicely presented here on Blu-Ray by Twilight Time with a fine 1080p (2.35) transfer, mono DTS MA sound, and another commentary from historians Lee Pfeiffer and Paul Scrabo (no trailer is included). Last but not least comes Nicholas Ray’s 1957 Fox western THE TRUE STORY OF JESSE JAMES (92 mins. ), starring Robert Wagner in the title role. Walter Newman’s script reworked Nunnally Johnson’s screenplay for Fox’s 1939 “Jesse James,” with Wagner playing opposite Jeffrey Hunter as Frank James, Agnes Moorehead as their mother and Hope Lange as Jesse’s wife Zee. The film offers Ray’s trademark use of widescreen (as well as a surprising amount of recycled stock footage from the earlier film) as it retells the oft-told story of how the James brothers became outlaws in a watchable albeit somewhat perfunctory manner. Though not regarded as one of Ray’s best, “The True Story of Jesse James” makes for a robust Twilight Time Blu-Ray thanks to a strong a/v presentation with a 1080p (2.35) Fox-licensed transfer and both 5.1/2.0 DTS MA soundtracks, sporting Leigh Harline’s original score. Fox Movietone news reels, the trailer, and an isolated score track round out the disc. Among Twilight Time’s four December releases, meanwhile, are two different Fox religious-oriented dramas, along with a trashy ‘70s soap opera and the label’s first-ever licensed title from Universal. That film is ANNE OF THE THOUSAND DAYS (145 mins., 1969, PG), producer Hal Wallis’ adaptation of Maxwell Anderson’s hit play about the relationship between King Henry VIII (Richard Burton) and Anne Boleyn (Genevieve Bujold), the young woman who not only caught his fancy – during his marriage to Catherine of Aragon (Irene Papas), no less – but eventually caused the King’s break from the Catholic Church among other political maneuvers…all before her premature demise. The lead performances are superb in this elegant Universal production, directed by Charles Jarrott in a film that feels theatrical in the best sense of the word, while still retaining a cinematic veneer courtesy of Arthur Ibbetson’s widescreen cinematography. Georges Delerue’s fine underscoring adds a further touch of class to a colorful pageant that generated 10 Oscar nominations in spite of a few mixed reviews at the time of its release. Twilight Time’s Blu-Ray features a pleasingly detailed, good looking 1080p (2.35) AVC encoded transfer with a nicely layered 2.0 DTS MA stereo soundtrack. An isolated score track and the trailer are also included. A pair of Cinemascope dramas are also new from Twilight Time this month. Peter Marshall in A MAN CALLED PETER (119 mins., 1955), an elegantly shot adaptation of Catherine Marshall’s own memoir about her husband. Their relationship is superbly recounted – thanks to the performances of Todd and Jean Peters (in her final film) under Henry Koster’s direction — in this naturalistic, emotional yet unsentimental film about the Scottish emigrant who became the pastor at the New York Avenue Presbyterian Church and eventual chaplain of the U.S. Senate. Fox’s 1080p (2.55) AVC encoded transfer and matching 4.0/2.0 DTS MA stereo soundtracks are all superlative, with extras including an isolated track of Alfred Newman’s score, Fox Movietone news reels, the trailer, and an archival audio sermon by Marshall himself. Less satisfying on balance is the melodramatic SATAN NEVER SLEEPS (125 mins., 1962), a Cold War-era Fox production set in late ‘40s China, where Clifton Webb and William Holden play priests on a mission during the rise of Communism. An early score by Richard Rodney Bennett and Oswald Morris’ widescreen lensing are the main assets in a Leo McCarey film many critics pegged as an “anti-Communist remake of ‘Going My Way,’” and does feel more than a little dated. However, there’s nothing dated about TT’s attractive Fox-licensed 1080p (2.35) transfer and 2.0/1.0 DTS MA soundtracks, with the lone extra being a theatrical trailer. Finally, if an overheated Liz Taylor is your thing, then X Y & ZEE (108 mins., 1972, PG) should be put on your list of Blu-Rays to watch in the new year. This adaptation of Edna O’Brien’s book (scripted by the author) chronicles the rather sordid triangle of an unhappy wife (Taylor), her philandering husband (Michael Caine) and his newest mistress (Susannah York) in early ‘70s London. By this point, Taylor was generating more newspaper headlines – for her tabloid exploits and broken marriage to Richard Burton – than the quality of her cinematic endeavors, like this Columbia release from director Brian G. Hutton which failed at the box-office. “X Y and Zee” was generally written off by critics as well for its acidic tone and almost complete absence of sympathetic characters – nowadays, it’s at least watchable for its performances, as the increasingly buxom Taylor has a field day ripping apart her supporting leads (Caine in particular), even with subpar material. Twilight Time’s Sony-licensed transfer (1.85) has fine detail, a mono DTS MA soundtrack and an isolated score mix of Stanley Myers’ occasionally overwrought soundtrack. As Julie Kirgo describes in her booklet notes, this semi-camp exercise fits comfortably alongside other TT releases like “The Other Side of Midnight” and comes recommended for that audience. WINDTALKERS Blu-Ray (134 mins., 2002, R; MVD): The Nicolas Cage-John Woo “Face/Off” reunion turned out to be a box-office disappointment for MGM, in part due to its long delay from its initially announced 2001 release date. During that time, a handful of other war films were released, saturating the marketplace and paving the way for “Windtalkers” to underachieve in the U.S.A. It didn’t help that the movie itself was a real disappointment as well. The potentially fascinating real-life tale of Navajo Indians involved in WWII — most importantly for their impenetrable wartime code — is squandered in a mismash of blood battles, stylized Woo violence, and a predictable story involving Cage’s battered soldier. The John Rice-Joe Batteer script is more cliché than credible, and despite a solid score by James Horner and scope cinematography by Jeffrey Kimball, the result is a loud, violent collection of images that never scratches the surface of its potential. MVD’s Blu-Ray of “Windtalkers” is at least a solid improvement on MGM’s earlier BD. The 1080p AVC encoded transfer and 5.1 DTS MA sound are both superb with the 134-minute theatrical cut and 153-minute Director’s Cut both preserved here in HD. Ample extras are carried over from the MGM Collector’s Edition DVD, with multiple commentaries and documentary featurettes on-hand including a talk with Horner. BRIGHT LIGHTS, BIG CITY Blu-Ray (108 mins., 1988, R; MVD): Michael J. Fox’s performance as a small-town farmboy (literally) who attempts to become a big-time writer in New York City during the yuppie-fied days of the 1980s is easily the highlight of James Bridges’ 1988 adaptation of Jay McInerney’s celebrated novel. Though the film is uneven and not entirely satisfying, Fox is more than compelling as naive Jamie Conway, who slowly succumbs to the nightlife and social mores of its era, while Kiefer Sutherland, Phoebe Cates, Dianne Weist, Frances Sternhagen, and John Houseman lend able support. Gordon Willis’ cinematography adds a major touch of class as well, an element that the DP discusses in a commentary track that MVD has carried over – in addition to McInerney’s own commentary, two featurettes and the trailer – in their good-looking Blu-Ray catalog release. The 1080p (1.85) AVC encoded transfer and 2.0 DTS MA stereo soundtrack are both fine in a superior MGM catalog master. NOT WITHOUT MY DAUGHTER Blu-Ray (116 mins., 1991, PG-13; MVD): Taut and compelling adaptation of Betty Mahmoody’s nightmarish chronicle of how her Iranian husband brought her and their young daughter to his native land for a “vacation” that turned out to be a permanent stay in an oppressive society. Though based on a true story, “Not Without My Daughter” received a lot of criticism over the years for its unflattering portrayal of Iranian culture and Islam in general – and while it’s true that Alfred Molina’s performance as Mahmoody’s husband flips to villainy in a heartbeat, that’s also how both Mahmoody and her daughter portrayed it happening. Certainly the film is well-produced with Sally Field a perfect fit for Mahmoody’s cinematic alter-ego and director Brian Gilbert building up ample tension as the film portrays her near-impossible escape back to the U.S. with young daughter in tow. MVD’s Blu-Ray debut of “Not Without My Daughter” includes a 1080p (1.85) AVC encoded transfer and PCM 2-channel soundtrack. This frankly isn’t one of Jerry Goldsmith’s better efforts, offering a nice conclusion but alternately synth-dominated or syrupy cues comprising the bulk of the score. The transfer is serviceable, well-encoded by MVD but derived from what looks like an older MGM HD master, with the trailer and brief six-minute featurette also on-tap. (Interestingly, Mahmoody’s daughter has since written her own book, “My Name Is Mahtob,” mostly focused on the events that followed the 1991 film)...Also newly available from MVD is the 1996 direct-to-video action affair RAVEN (93 mins., R), an undistinguished tale of an elite squad of mercenaries trying to to obtain a Soviet satellite decoder when things go wrong. Burt Reynolds leads the team in this by-the-numbers vehicle new to Blu-Ray from MVD featuring a 1080p (1.85) transfer and 2.0 stereo sound. GAS FOOD LODGING Blu-Ray (101 mins. 1991, R; Arrow): Single mom Brooke Adams struggles to raise teen daughters Ione Skye (the tramp) and Fairuza Balk (the good girl) in a dusty, isolated New Mexico town, in director-writer Allison Anders’ vivid adaptation of Richard Peck’s novel. The performances of the three leads — especially Balk as the younger sister, who loves foreign films and dreams of better days ahead — anchor this gritty and involving drama, which signaled Anders as a talent to watch during the early ’90s. While her work since hasn’t lived up to the potential she displayed in this film, “Gas Food Lodging” still holds up as a memorable study of three people trying to make it in the world, any way they know how. Arrow’s Blu-Ray debut of the film is highlighted by a new restoration (1.85) approved by Anders with uncompressed PCM audio, sporting a moody score by J Mascis. Extras include a new interview with Anders and a 1995 “Cinefile” piece on both studio and independent women filmmakers (Anders, Kathryn Bigelow, Jane Campion, Gale Ann Hurd, Penny Marshall among them) struggling to make it in Hollywood. THE APARTMENT Blu-Ray (120 mins., 1960; Arrow Video): A year after releasing their outstanding Limited Edition box-set, Arrow returns with a standard Blu-Ray edition of Billy Wilder’s 1960 classic. Reuniting Wilder with star Jack Lemmon, “The Apartment” was one of the duo’s most celebrated works, winning five Oscars including Best Picture, and pairing Lemmon with Shirley MacLaine in what became an instant favorite that’s weathered the years well. Arrow’s BD offers a brand new 4K restoration of the film, produced exclusively for this release, that preserves the movie’s wide 2.35 frame in a superbly detailed B&W transfer. Uncompressed PCM mono sound and a 5.1 DTS MA remix comprise the audio offerings with extras including Philip Kemp’s appreciation of the film and selected-scene commentary; a video essay by David Cairns on the Wilder/Lemmon teaming; a talk with actress Hope Holiday; an archival Writer’s Guild interview with Wilder; a 2007 video retrospective; another 2007 piece on Jack Lemmon; and the trailer. For those who might’ve missed the Limited Edition box, this standalone-disc package comes highly recommended! Also New From Arrow: Liv Ullmann and David Carradine starred in Ingmar Bergman’s THE SERPENT’S EGG (114 mins., 1977, R) – a film Bergman produced for producer Dino DeLaurentiis. Carradine plays a circus performer who joins with his sister-in-law (Ullmann) to investigate the suicide of his brother in a Bergman piece set in 1920s Berlin – the director’s one and only “Hollywood film” that was not well-received by critics. For interested devotees of the director, “The Serpent’s Egg” comes to Blu-Ray featuring a 1080p (1.85) transfer and PCM sound from an MGM catalog master. Extras include a commentary from Carradine recorded around 2004, plus a new appreciation of the film from critic Barry Forshaw; an archival featurette sporting interviews with Carradine and Ullman; an archival interview with author Marc Gervais; the trailer; and a stills gallery…Slasher fans can get their fix with the 1980 independent outing BLOODY BIRTHDAY (85 mins., R), the story of a trio of cute looking kids, all born during a solar eclipse, who cause all kinds of murderous mayhem once they hit the age of 10. Politically incorrect stuff by today’s standards as the trio run around with guns and knives, “Bloody Birthday” will be best appreciated by slasher fans, and has been brought to Blu-Ray in a new edition from Arrow. A 2K restoration (1.85) from original film elements is on tap along with two new commentaries (one from director Ed Hunt, the other with The Hysteria Continues), interviews with actress Lori Lethin and critic Chris Alexander, plus an archival interview with producer Max Rosenberg and a piece from Ken Gord on Hunt’s career. 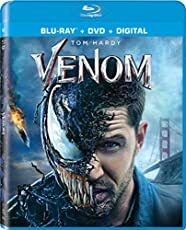 VENOM Blu-Ray (112 mins., 2018, PG-13; Sony): You have to give the makers of “Venom” credit for trying – this “origin movie” for the fan-favorite Spider-Man bad guy offers some amusing black comic banter between anti-hero Eddie Brock (Tom Hardy) and his eventual, monstrous alien alter-ego…at least to a point. Hardy, perfectly cast here, complained that the finished film removed many of the film’s more eccentric moments, leaving behind an admittedly uneven brew of formulaic super-hero (err, super-villain) fare, interesting special effects and intermittently engaging human interest, with Hardy playing opposite Michelle Williams as Brock’s girlfriend. With bad word-of-mouth stemming from the turbulent post-production, box-office “experts” thought “Venom” was heading to the trash bin of super-hero flicks – only to see it gross over $200 million domestic and some $850 million worldwide, all on a relatively thrifty (for the genre) $100 million budget. Though the film is a bit of a mess in its current form, it’s not hard to see why, since Hardy’s energy and the VFX are sufficiently entertaining to watch in spite of the movie’s shortcomings. 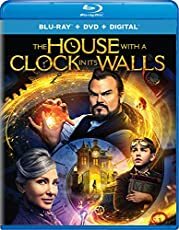 Sony’s now-available Blu-Ray includes some deleted scenes and an extended post-credit sequence, over an hour of featurettes, a 1080p (2.39) transfer, 7.1 DTS MA sound and a Digital HD copy. A DRY WHITE SEASON Blu-Ray (106 mins., 1989, R; Criterion): South African-shot tale of a white schoolteacher (Donald Sutherland) who finally opens his eyes to the horror of apartheid after his gardener (Winston Ntshona) is beaten for participating in a pro-education demonstration. Marlon Brando co-stars with Susan Sarandon, Janet Suzman, Jurgen Prochnow and Zakes Mokae in Euzhan Palcy’s 1989 MGM film, new to Blu-Ray from Criterion. A new 4K (1.85) restoration graces Criterion’s Blu-Ray along with a supplemental section including an interview with Palcy featuring critic Scott Foundas; archival interviews with Sutherland, Palcy and Nelson Mandela; and a stereo soundtrack sporting a Dave Grusin score. MONSTER PARTY Blu-Ray (90 mins., 2018, Not Rated; RLJ): A trio of thieves decide to pose as caterers at a posh Malibu mansion – unaware that the hosts of said party are recovering serial killers. Chris Von Hoffmann’s black comic thriller offers a decent cast including Robin Tunney, Julian McMahon and Lance Reddick and balances blood ‘n guts with its uppity characters extremely well for its genre. The film is excessive but knows how to deliver the goods for its intended audience and comes off as quite adequate all things considered. RLJ’s “Monster Party” Blu-Ray is now available featuring a fine 1080p (2.35) transfer and 5.1 DTS MA sound. SNOWFLAKE Blu-Ray (110 mins., 2017; Artspolitation Films): Absolutely bonkers German import from director Aldolfo Kolmeirer posits a near-future Berlin where a group of colorful characters try to knock each other off while a succession of fairy-tale characters manifest themselves, all related to a zany script written by an absent-minded dentist. “Snowflake” is very much aware of itself and pushes the envelope a little too hard, but adventurous viewers may gravitate towards it. Artspolitation’s Blu-Ray includes a 1080p transfer and 5.1 Dolby Digital audio, along with a full hour of Making Of material. WHITE BOY RICK Blu-Ray (111 mins., 2018, R; Sony): An interesting true story receives an uneven cinematic treatment in the hands of director Yann Demange. Matthew McConaughey plays a blue-collar dad with few options in rundown 1980s Detroit who manages to get his son (Richie Merritt) involved in federal sting operations designed to target crime and rampant drug use – yet there are few happy endings in this downbeat, depressing film with decent performances but a dramatic center that’s lacking. 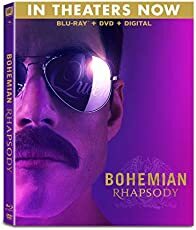 Sony’s Blu-Ray is out this week, sporting deleted scenes, a Making Of, a 1080p (2.39) AVC encoded transfer, 7.1 DTS MA sound and a Digital HD copy. 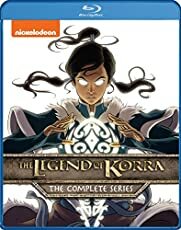 RED VS. BLUE: THE SHISNO PARADOX Blu-Ray Combo Pack (106 mins. 2018, Rooster Teeth/Cinedigm): Two groups of futuristic soldiers continue to spar in this “Halo” video game spinoff, one of the most enduring of all web-based series. In this feature-length new story, the Reds and Blues find themselves caught in a war between the Gods and Titans – all while having intended simply to go out for pizza. Wacky comedy mixes with action in “The Shisno Paradox,” new to Blu-Ray and DVD January 1st. Ample extras include commentary, bloopers, behind-the-scenes segments, featurettes, a 1080p transfer and 5.1 DTS MA sound. BAD REPUTATION DVD (93 mins., 2018, R; Magnolia): Kevin Kerslake directed this documentary about the life and times of Joan Jett, from her tenure with the Runaways and Blackhearts, through her late career work in pop music and mentorship of young musicians. A worthwhile documentary for music lovers, “Bad Reputation” streets on New Years Day featuring a handful of extras (music videos, additional musical performances), a 16:9 transfer and 5.1 Dolby Digital sound. Big, colorful, boisterous and refreshingly unpretentious, AQUAMAN (***) finally sets the DC Universe on an upbeat, escapist course that’s far removed from the dread-inducing (and at times dreadful) Zach Snyder productions that characterized the post-Christopher Nolan era of the brand’s cinematic endeavors. Gone are the mopey Batman and guilt-ridden Superman, and in their place is Jason Momoa’s hard-drinking, charismatic Arthur Curry — the half-breed son of the Queen of Atlantis (Nicole Kidman) who finally battles for his rightful Atlantean throne just in time to prevent his half-brother Orm (Patrick Wilson) from igniting a war with the “surface people.” In order to accomplish this, Orm has to unite the disparate undersea kingdoms of Atlantis — some of which include talking crustaceans and a horsefish-riding Dolph Lundgren — all the while Arthur and the lovely Mera (the quite-fetching Amber Heard) hope to stop him by looking for a magical trident that only the next true heir of Atlantis can possess. Oh, and there’s Aquaman’s main archrival, Black Manta, on-tap too, running around the world trying to exact revenge for his father’s death! “Aquaman,” scripted by David Leslie Johnson-McGoldrick and Will Beall, is absolutely stuffed to the gills (sorry) with colorful Don Burgess cinematography, outlandish creatures and action — but unlike too many of these genre exercises, this one refuses to take itself seriously and works in a completely disarming way that none of the contemporary DC films have been able to (that includes the decent if comparatively heavier-handed “Wonder Woman”). Credit all of that to director James Wan, playing in a grander sandbox here than was afforded to him on his previous pictures, who goes all in on the outrageousness and fantasy elements of its storyline, fashioning the material in a way that makes you irritated Warner Bros. didn’t hire him to retool Superman a few years ago. This picture is occasionally charming and funny — especially the scenes with Momoa and Heard — plus visually engaging from start to finish, even if certain elements feel overly familiar and it all (as usual) goes on much too long. Regardless, “Aquaman” manages to be more family-friendly, romantic and just downright fun compared to the overly violent DC missteps of recent years (here’s looking at you, “Man of Steel” and “Batman V Superman”) — while also coming across as more flavorful and individualistic than most Marvel products produced over that same time. With a terrific cast (Willem Dafoe is superb as Arthur’s Atlantean tutor Vulko) and even a surprisingly melodic Rupert Gregson-Williams score that has its moments (seemingly using Giorgio Moroder and Daft Punk’s “Tron Legacy” soundtrack as a guide), “Aquaman” doesn’t just stay afloat but swimmingly pleases in its genre, in a way few of its peers have in a long while. NEXT TIME: Ringing in the new year with the latest releases! Until then, don’t forget to drop in on the official Aisle Seat Message Boards and direct any emails to our email address. Cheers everyone, Merry Christmas & Happy New Year!